Today in Masonic History Archibald Alison, 1st Baronet is born in 1792. 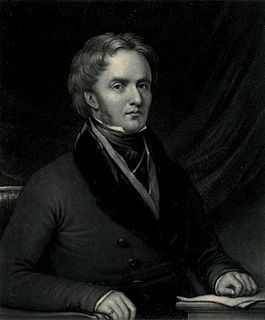 Archibald Alison, 1st Baronet was a Scottish peer, historian and jurist. Alison was born on December 29th, 1792 in Kenley, Shropshire, England. In 1800 his father moved the family back to Edinburgh, Scotland hoping that his sons would receive a better education and independent careers. Alison studied with private tutors before attending the University of Edinburgh. In 1814, Alison was admitted to Faculty of Advocates, an independent body for advocates who have been admitted to practice before courts in Scotland, more especially the Court of Session and the High Court of Judiciary. It was also in 1814 that Alison traveled to France and there had the idea for his most notable work. Titled History of Europe from the commencement of the French revolution to the restoration of the Bourbons it was a multi-volume set which was the first English-language study of the French Revolution. It was published in 10 volumes from 1833 to 1843. In contained a great deal of information. It was translated into several languages and sold around the world. It was criticized for being "wordy" and Benjamin Disraeli, an author himself, made fun of Alison in his book Coningsby. In the book Disraeli named one of the characters "Mr. Wordy", who wrote a history to prove that Providence was on the side of the Tories. Alison also wrote books on the Criminal Law of Scotland and the military campaigns of the Duke of Marlborough. Alison passed away on May 23rd, 1867. He was buried and Glasgow where he was very popular. At his funeral it was estimated that there were somewhere between 100,000 and 150,000 people. Alison was a member of Glasgow Kilwinning Lodge in Glasgow, Scotland.